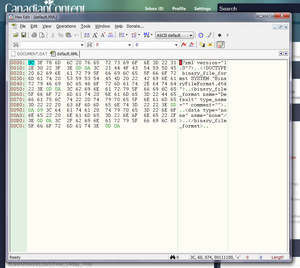 HexEdit is a freeware, no-hassle Windows-based hex editor. Apart from the countless features HexEdit offers, it can also be installed to the windows explorer menu. This gives hackers and interested persons a quick way to check out binary files. This program is feature packed and hassle-free. For security reasons, you should also check out the HexEdit download at LO4D.com which includes virus and malware tests. Additional screenshots of this application download may be available, too. HexEdit has a presence on social networks.